Will my colleague quit her job and if so, when will that happen? My company has serious restructure recently and is affecting a lot of people. Lots of colleagues have been troubled by this. I would like to know if my co-worker is leaving because this will be affecting me as well. Hence I asked a horary question for her. Pinky is my colleague represented by L7 (turned L1) who is Venus. Venus is cadent in H9, in cardinal sign Cancer. She is not fixed, meaning she is not very attached to her current job. Venus combusts the Sun so Pinky cannot see clearly about the job. The job is represented by turned L10 Saturn. Saturn conjuncts FS Vindemiatrix which is a lot of sadness. Saturn is in his exaltation, which looks better than it seems. However it is noted Saturn does have lots of dignity as it is also in his triplicity and terms, also he is in his house of joy. So really there is good and bad about the job, but I would say the FS Vindemiatrix and the exaltation both suggest the job has its downside. Venus is in detriment of Saturn. She hates the job. However Saturn is ruled by Venus. While she hates the job she can manage her job well. The job is under her control. Venus exalts Jupiter. What does Pinky want? She really likes the money coming from the job (Jupiter is turned L11, money from the job). Jupiter is sitting on the cusp of turned H1, money from the job is controlling her mind. Venus is in middle of Cancer, there is a long way for her to change sign. Cancer is a crab, holding onto things. She is going to stay in the company for a long time. This entry was posted in astrology, horary on July 21, 2011 by The Magician. My friend has a horse. Her horse has been sick for a while and she said her horse seems to get better. I want to know whether her horse is still unwell, and whether her horse is getter better or worse. Chart data: 4.04pm 22 Apr 2011 Hong Kong Asc 25 Virgo. My friend Vicky’s (H11) horse (12th from 11th, i.e. radical 10th, ruler Mercury) is still unwell (Mercury is in Aries, cold and dry planet in hot and dry sign). However the horse is getting better as if it is about to walk out from the sick bed (Mercury in 2nd station about to turn direct, Mercury will not perfect the opposition of Saturn, turned L8 from the horse as Saturn is retrograding). Problem is that Mercury will come into contact with the disease/illness again as it will perfect the Mars conjunction. So while the horse may be taking a turn for the better as it was separating from the disease/illness and is at 2nd station, it is very likely that it will become ill again as Mercury is applying to the illness when it turns direct. And there is MC conjunct the S Node which is not good for the horse either. Mars is also radical L8 of the house of death. I was assessing the chart half way and the blue comment was advised by my teacher. I now see how important it is to assess the chart thoroughly. All matters in the world is subject to the Will of God, who knows no ends. By all means my friend, prove me wrong. Blessings. This entry was posted in astrology, horary on May 1, 2011 by The Magician. 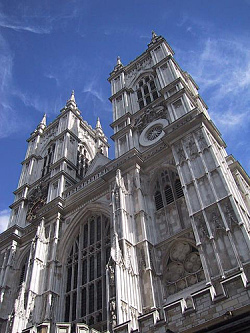 On the Royal wedding date 29 April 2011 in England with Will and Kate, rumour is that large scale strike/demonstration by the people particularly the Islamic tribe has been planned. Will there be large scale demonstration by the people on that day? Chart data: 8.08am 23 April 2011 Hong Kong. Asc 7 Gemini 58. We are looking here for testimonies that it is true. If we have few or none of these, by default it is false. · The angles of the chart should be in fixed signs. · L1, L3, the Moon and the Moon’s dispositor should be in fixed signs and angular houses, or at least fixed signs and succedent houses. With most testimonies that the rumour is not ture, I judge that large scale demonstration will not happen. England is a foreign country to me so the chart has to be turned. (L9 is the turned L1 for England). Royal family and royal wedding is signified by the turned L10 which is the radix L6 i.e. Mars. The people is signified by the Moon. Mars is in his own sign essentially strong, there is no serious affliction to Mars. Hence the wedding is strong. The Moon is weak as it is in her detriment and in succedent 8th house, if the people are weak, it follows that large scale demonstration is unlikely. Also the Moon is in exaltation of Mars the Royal family, the people love the Royal wedding so much that they will not bother to carry on a large scale strike. Therefore either way the chart shows that large scale demonstration will not be happening on the Royal wedding date. This entry was posted in astrology, horary on April 27, 2011 by The Magician. The querent wants to know whether his actual job as an independent consultant will bring him in more money in the near future. He wants to triple his earnings of now in the near future. He would like his current position to be long lasting, increasing year after year and even be able to sell his consultancy business to the company he is working in 7 years, after that keep managing it for 3 years and then retire in 10 years time. In short, where will his future go as he continues to work with the current company, with selling his consultancy service in future as a possibility. Chart data: 1.07pm 7 Apr 2011, Hong Kong. 2 Leo 11 rising. L1 is the querent signified by the Sun, which is in exaltation, triplicity and face. It is in H9 his house of joy. The querent is strong with lots of dignities. He is a good employee. With exaltation there is also the element of exaggeration – so possibly on some level he rates himself higher/better/stronger than he is/appears better/stronger than he is – but he is still a good/strong employee/person indeed. In the house of his joy he is very comfortable where he is and with his situation and is able to manifest his goodness. The emotional side is signified by the Moon. The Moon is strong in her exaltation in angular house. The Moon conjuncts fixed star Algol, his emotion is occupied by the general idea of losing his head in the job. This is further confirmed by the Moon’s antiscion just inside the cusp of H1. L10 is the job signified by Mars. Mars is in his sign and face, under the sun’s beam in cadent H9. Despite the mutual reception it is still under the sun’s beams which is mildly negative – but yes, the effects of sun’s beams are lessened because Mars disposits the Sun. Just like a planet combust is not harmed if it disposits the Sun, but it still can’t see or be seen. H10 cusp conjuncts fixed star Vertex, a blind spot – so there is something hidden about the job – possibly the USB adds to this as well. This is essentially a good job, though external circumstances may cover the view. The job hasn’t much power to manifest its dignity as it is in a cadent house. L10 Mars has just entered Aries, at the beginning of the sign, L1 the Sun is in the middle of Aries, both of them in cardinal house, aptly describes himself and his job as there is a lot of initiation of new projects or clients involved. The Moon is void of course which is a strong argument for the situation staying as it is hence the job is long lasting. The positive mutual reception between the querent and the job is another testimony of a long lasting relationship, as the job and the querent likes each other. Money of the job is signified by L11 Mercury. Mercury is in peregrine, retrograde and going to conjunct and combust the Sun. The job does not have much money, and it is getting worse. The Sun as the querent is only in the term of Mercury, meaning that the querent likes the job’s money by very little, obviously because the money from the job is very little. The money of the job, L11 Mercury, is in exaltation and triplicity of the querent. The work’s money likes the querent so there is intention for the job to pay him more, yet the external circumstances at the moment do not allow. Mercury is in retrograde and going to remain in peregrine for a long time before it changes sign. The situation remains the same as it is now for a long time. With the Sun in middle of Aries and Mars at the beginning of Aries, the positive mutual reception between the querent and the job will continue for a long time. Hence for a long time the querent is going to like the job and being appreciated in reciprocate. Emotionally the Moon is in the term of Mars, he feels okay about the job but not great possibly because money is not as rewarding as he wishes. Yes – the money is a big problem here – in a shocking state for a dignified job. In the long run the querent wants to sell himself (he owns his consultancy operation) to the current company. I take L1 as representing himself. L1 is currently very strong in dignities, in the long run when he moves to Taurus, all dignities will be gone and it will be in detriment of Mars. Therefore it will not be a viable deal as the querent will be hating the company and hence will not want to continue will his service. My advice to him based on the chart is that while it is positive to have long term goals and to have vision, he is not yet in a position to entertain those thoughts (and we can see the illusions of grandeur from the exalted status of the Sun). Being a 1 person entity, especially in the current economy, it is not easy to employ other people or to expand the business. I suggest that he focuses on the issues at hand now and that he has another look at the viability of selling his company to someone else when it is feasible to do so. Based on the mutual reception between him and the company that he is an agent for I would suggest that he retains that position but being in a cardinal sign as opposed to fixed (the Sun) he will be able to represent more than one company at a time. So possibly to assist him financially he should also look at taking on contracts for other companies as well, provided this doesn’t jeopardize his existing contracts. This entry was posted in astrology, horary on April 11, 2011 by The Magician. My friend is considering to sue the company for making her redundant due to their refusal of her pay rise and promotion request after 3 months of overtime work. Will she win? We shall look at it as a turned chart. L7 will be the turned L1, her significator is Venus. The company is represented by turned L7, i.e. L1 Mars. The turned L10 judge is Saturn and the turned L4 verdict is the Sun. L1 (turned) is angular in the 4th, accidentally dignified, Mars L7 (turned) is in succedent house and combust the Sun. The querent has a lot of power to act. Looking at the essential dignity, Venus is in its face, not very strong. Mars is in its triplicity so L7 is stronger than L1. However essential dignity has lamentably little to do with the matter of who wins. Looking at mutual reception, L7 exalts L1 Venus, the company consider the quesited a strong rival so she is in a fine position to push for settlement. However no aspects can be made between L7 and L1 therefore no settlement outside the court. The judge (turned L10) is controlled by the Querent, as Venus is sitting on the cusp. Saturn is ruled by Venus in essential dignity. Venus is in the sign and term of Saturn. The judge and the querent are in support of each other. The verdict is the Sun (turned L4). Neither the Moon, Venus or Mars can make aspect to it. With the accidental strengths of L1 and also looking at the mutual reception between L1, L7 and L10, I judge that the querent will win if she is going to sue the company. Also the rival combust is a bad sign for the rival and shows, together with the MR between Venus and Saturn that the quesited will win. Out of interest to look at the money of the company – turned L8. It is ruled by Jupiter who is in his triplicity. The company does has money to pay for the compensation. It is in the term and detriment of Venus, so in a way is harming the querent as obviously after the trial she will lose her job even though she will get some money. I would advise against it going to trial – if she wants to keep her job. The Moon will perform a ToL between Venus and Jupiter – so although we don’t have a settlement between the 2 parties, she will get compensation in some form or other from her open enemy – but at the loss of her job – her job also L10 is combust by antiscion. The Part of Resignation and Dismissal is at 9 Scorpio 20, just inside (and conjunct) the Asc – so the company is definitely thinking of dismissing her! And next aspect from Venus is to sextile Jupiter, its dispositor, by the Moon’s ToL. We don’t require a name for the Moon but it is her 3rd – so any communication she sends/engages in with the company is going to get her fired. The 7th cusp (Asc) on Hamal – the death wound – is most negative for her as well. It is obvious the company is still doing her a lot of harm but if she decides to sue the company she will lose her job, which sadly is something hard to afford. This entry was posted in astrology, horary on March 12, 2011 by The Magician.